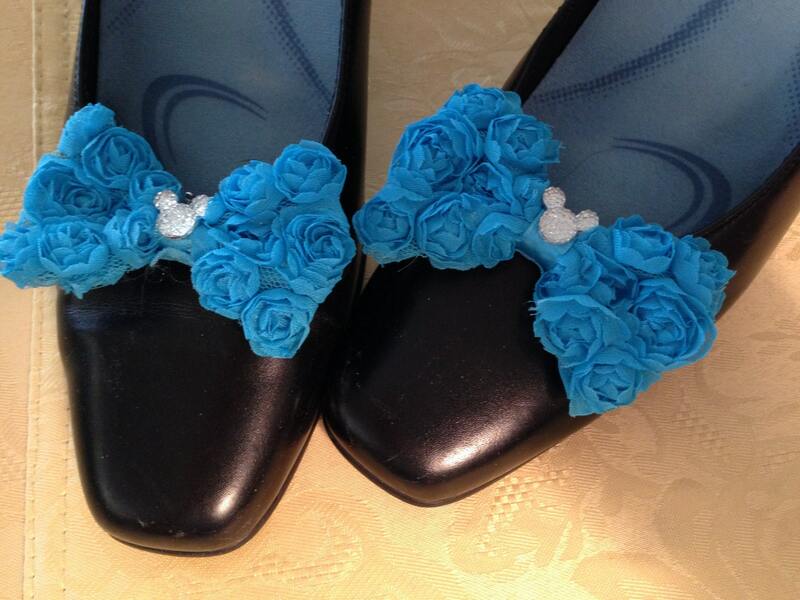 Aqua Ruffle Roses Bow Shoe Clips with Whimsical Clear Mouse Ears attached to the center of the bow. Just the cutest accessory for your shoes. 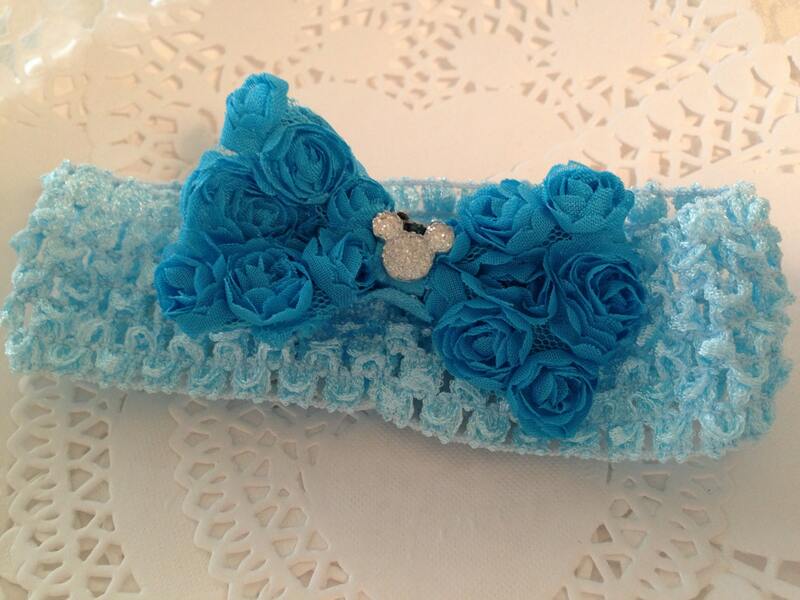 Wear these blue bows in a Disney Themed Wedding. 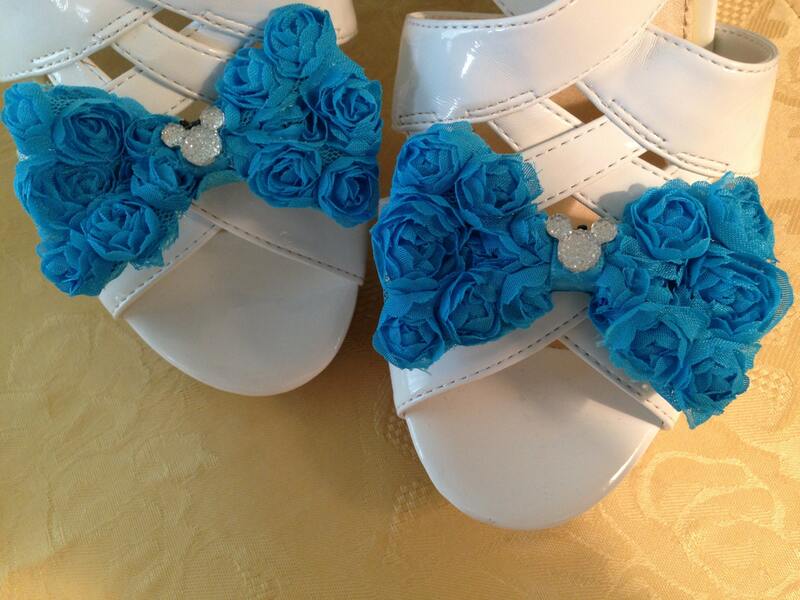 Give them to your flower girl and bridesmaids. Wear them yourself at the rehearsal dinner or Bachelorette party. 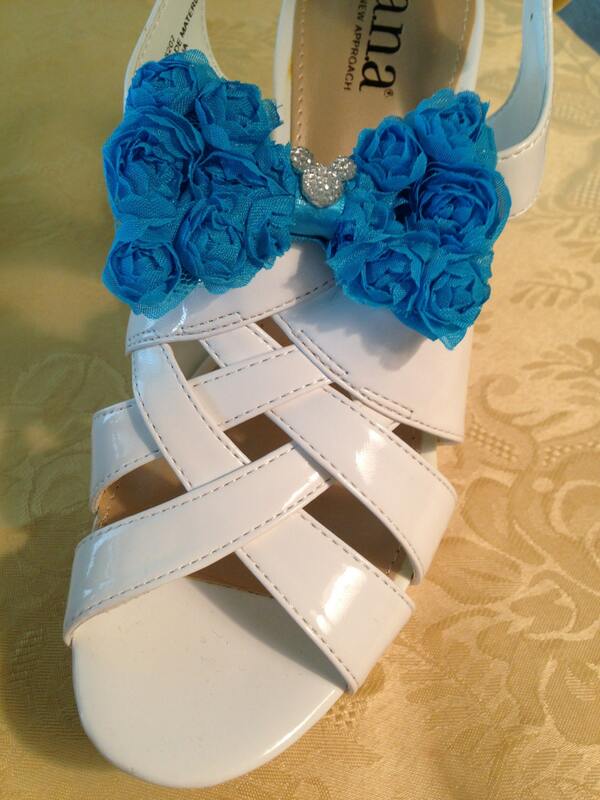 This adorable shoe clip can also be attached to a headband and worn in your hair. Great shoe clips for that Going Away Outfit. Your child could wear these on her Easter Shoes or tap dancing shoes. This listing is for a pair of shoe clips. Each bow is 3 inches wide by 2 inches high on each side. The tiny clear sparkling mouse ears in the center of the bow is about 1/2 inch in size. The shoes and headband in the pictures are NOT included. They are just used as photo props.